LCWA loves to get products into the hands of media influencers who can help us make a splash – and that’s just how we kicked of 2015 for Contigo. We helped the company secure and coordinate a coveted spot in a January Good Morning America “Deals and Steals” segment geared at helping viewers look their best for 2015. 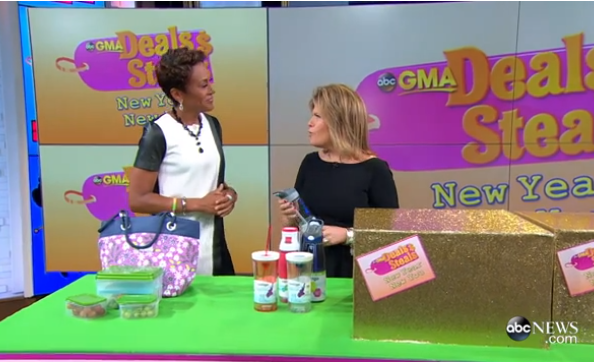 A collection of Contigo’s sleek, functional water bottles stole the spotlight on GMA, and even had host Robin Roberts snagging a sample off of the table for herself. It was a buzz-building day, and a great way to launch into another successful year of media placements for our client Contigo.